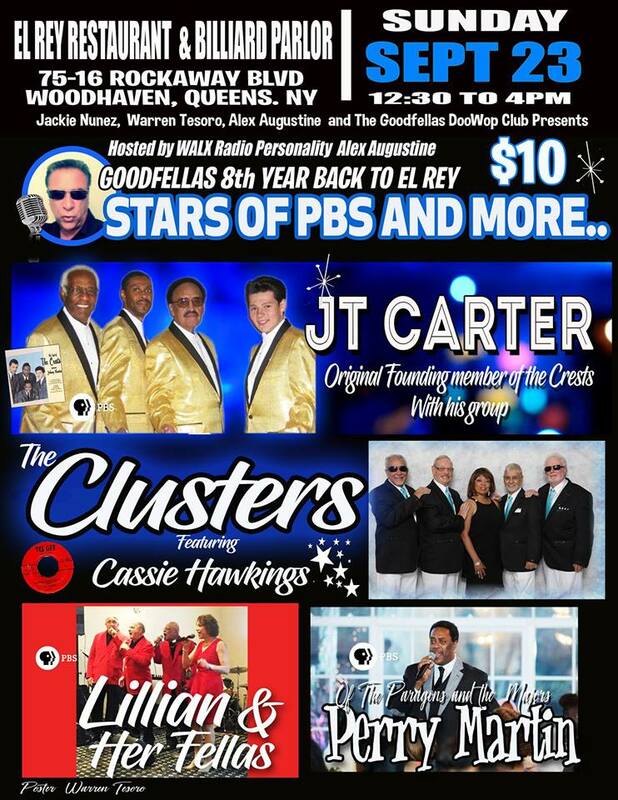 Jackie Nunez, Warren Tesoro, Alex Augustine and the Goodfellas DooWop Club present their 8th year celebration with a return to the El Rev Restaurant, 75-16 Rockaway Blvd, Woodhaven, Queens, NY, on Sunday September 23, from 12:30 to 4 PM. They have a fabulous line up including JT Carter, original founding member of the Crests and his group, the Clusters, Lillian & her Fellas and Perry Martin of the Paragons. Hosted by WALX Radio star, Alex Augustine. Admission is $10.